My doctoral research project was a ten-year policy evaluation of the London congestion charging policy. Over the past ten years, central London has achieved mode shift from personal vehicles to public transit while gaining population and jobs. 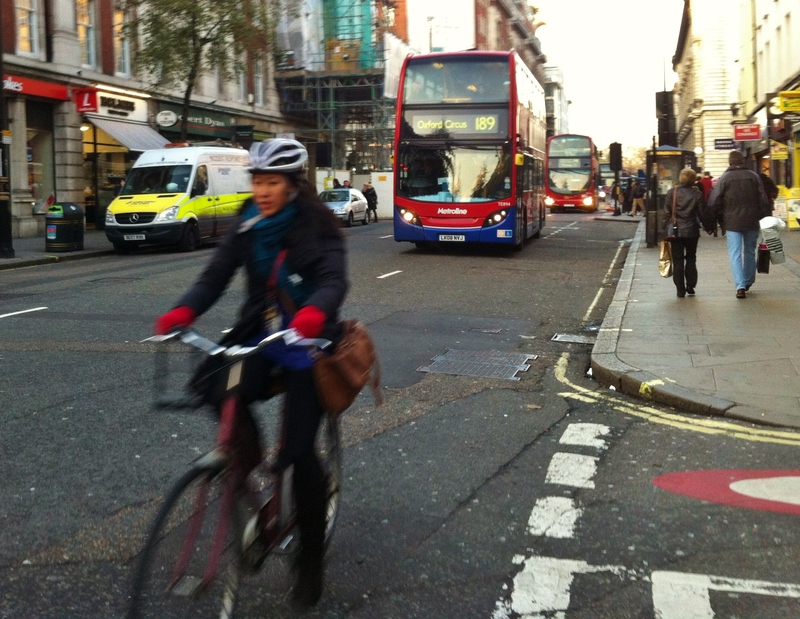 London is considered as a success case in sustainable transportation policy, with the congestion charge and parking reforms paired with massive investment in public transit, bicycle infrastructure, and the public realm. Fieldwork for this project included a mapped photo survey of the congestion charge boundary. I also conducted interviews with dozens of local planners, interest groups, and real estate and transportation planning experts. I conducted fieldwork in London during the 2013-14 academic year, hosted by the Centre for Advanced Spatial Analysis at University College London. 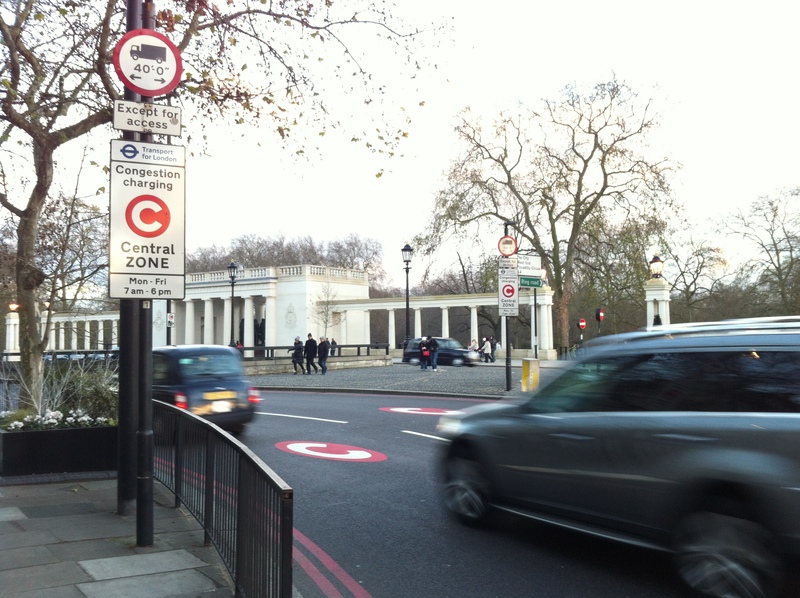 As an approved researcher in the Office for National Statistics Virtual Microdata Lab, I accessed firm location microdata to conduct a longitudinal analysis of firm location patterns before and after the congestion charge was in place. I also used this data to create a panel of firms to track relocation patterns over time, and identify which types of firms were most likely to relocate into or out of the charged area, by industry, size, and age. Findings from this research have been presented at conferences and invited talks over the past two years. One of these events at Cal Poly San Luis Obispo resulted in a publication, “Sustainable Transportation: Lessons from London.” Another paper presented at the Transportation Research Board conference in Washington DC, “Sustainable Freight: Impacts of the London congestion charge zone and low emissions zone,” was one of two awarded Best Paper by the Urban Freight Transportation Committee.